Why are residential plumbing services so important? There are several benefits involved with proper plumbing services in your home. Some of them are as follows. Proper plumbing system can help to save a lot of water. Leaking pipes, toilets, and faucets can waste a lot of water. When the plumbing system is functioning efficiently the amount of water used in showers, toilets, and faucets is much less. Saves a lot of money. When the plumbing system is faulty there will be a rise in the water bill. Clogged drains and pipes can be a form of health hazard. Prevents the growth of mold and stops the damage to property. 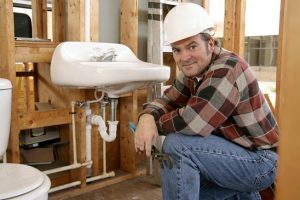 What are the different kinds of residential plumbing services? Prevent emergency plumbing problems to rise and cause havoc. Book the services provided by professionals and trained plumbers. They can conduct thorough investigation of the plumbing system once every few months to make sure everything is working properly. Here is a list of plumbing services that is offered by Gizmo Experts Plumbing Services. Repair of trench less sewer lines. Replacement and installation of plumbing system. Replacement and installation of water lines. Leaking toilets, pipes, and bathtubs. Clogged sinks, pipes, drains, and toilet. Repair and Replacement of water heaters. Every plumbing service will not provide the specialized services that Gizmo Experts Plumbing Services does.Affordable pricing, certified plumbers, superior quality use of tools and parts. No matter which residential plumbing service you are in need of call the best. Reasons behind calling Gizmo Experts Plumbing Services. The plumbers working for Gizmo Experts Plumbing Services are highly trained experts who can remodel, restore, and renovate your house based on the different plumbing needs. They offer 24/7 affordable and plumbing services to those who are in need of it. Call today at (424)342-7018.